Notice: The Nordegg Museum Exbibit was set to open on Canada Day, but following the installation of new windows and due to time constraints, it has postponed the museum's opening date. Staff are currently working on organizing displays and artifacts before opening to the public. We apologize for any inconvenience and will provide an update as soon as possible. In the meantime, if you are looking to learn more about Nordegg history we recommend the Brazeau Collieries Historic Mine Site Tour. After June 30, 2018 the walking tour is offered every day except Wednesday’s at both 10:30 am and 2:00 pm. The information desk has knowledgeable staff who are ready to share information about the area. They can provide you with an assortment of information on attractions, accommodation, and activities taking place in the Nordegg area. Guided tours of the Brazeau Collieries Mine Site are available on a daily basis for a fee, while browsing through the museum and picture gallery is by donation. Tours of the mine site can be booked at the Heritage Centre. Guided tours of the Brazeau Collieries Mine Site are available from May long weekend to the end of August. The Heritage Centre is a wheelchair accessible facility and has wheelchair accessible washrooms. The building also houses the Miners Cafe which has an amazing assortment of home made pies among other delicious meal options and the Coliseum Gift Shop which sells local artisan products. For further information, contact the Nordegg Heritage Centre at (403) 721-COAL (2625); or administration at the Clearwater County office at (403) 845-4444; or via e-mail at heritage@clearwatercounty.ca. Notice: We will be running the Auxiliary Building tour two time a day until further notice. The Briquette Plant foundation is undergoing some much needed restoration work and we are unable to give tours of the plant until the work is completed. Thanks for your understanding. Tour A is the Auxiliary Tour of all the mine site auxiliary building such as the workshops, houses and external workings of the mining operation. In this tour you'll also get to go into the entrance to the mine shaft. Tour B goes through the briquette plant. There are a lot of stairs and hills on this tours, but it's worth it to see into such a large factory! Odd numbered days the A Tour is at 10:00 am and B Tour at 2:00 pm. Even numbered days the B Tour is at 10:00 am and the A Tour is at 2:00 pm. School tours, group tours, weddings, and photography access is also available by pre-booking, please email heritage@clearwatercounty.ca for more information or to book a tour. The briquette plant can be visited on the B Tour of the mine site. The Brazeau Collieries National Historic Site and the Nordegg Heritage Centre are both managed under the umbrella of the Clearwater County Heritage Board. This volunteer board advises the Clearwater County Council and Administration on heritage matters throughout the county. Previously these were managed by the Nordegg Historical Society. The County became involved with the historical group in Nordegg in 1992. The society was known as the Nordegg Historic Heritage Interest Group at that time, and was experiencing some financial difficulties in their attempts to protect and restore the remaining buildings in town and particularly on the Brazeau Collieries mine site. The Council at the time recognized the significance of the old mine site as an historical resource and consequently got involved. The County appointed a manager to operate the daily affairs of the Society and to look for opportunities to alleviate the debt and resume with the restoration of the site. Over the last eighteen years, Clearwater County has been involved with the Society, providing management and some resources for the Society to continue in their efforts to restore and stabilize the site. In August 1993, the site was designated an Alberta Historic Resource by Alberta Community Development. In February 2002 the site was designated a National Historic Site by the Minister of Canadian Heritage. The Nordegg Historical Society and Clearwater County were both recipients of Heritage Conservation Awards from Alberta Historical Resources Foundation in 2007. This is one of Canada’s largest industrial heritage sites and has stood abandoned since the mid 1950’s. 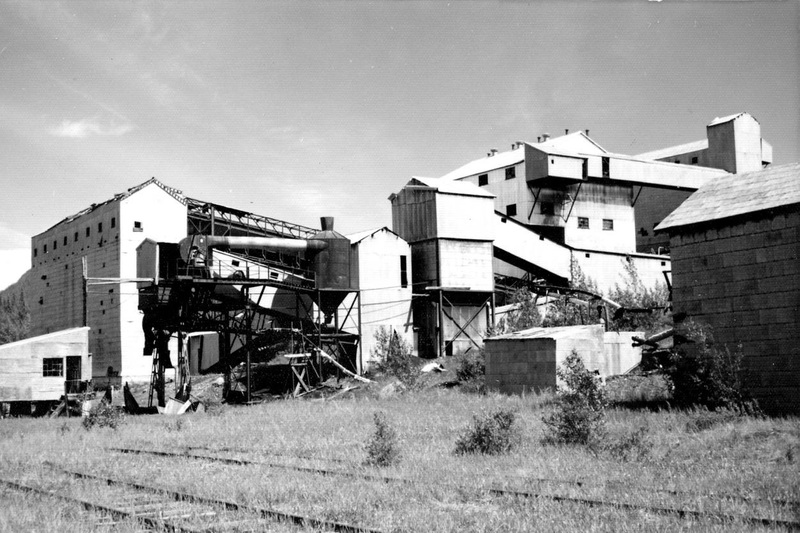 Brazeau Collieries and the Nordegg Town Site thrived during the first half of this century before the trains that used the coal briquettes they produced switched from these briquettes to diesel power. In recent years, the Nordegg Historical Society has been involved with the restoration and stabilization of this site and the many structures still standing there. Now Clearwater County manages the site with advise from the Clearwater County Heritage Board. 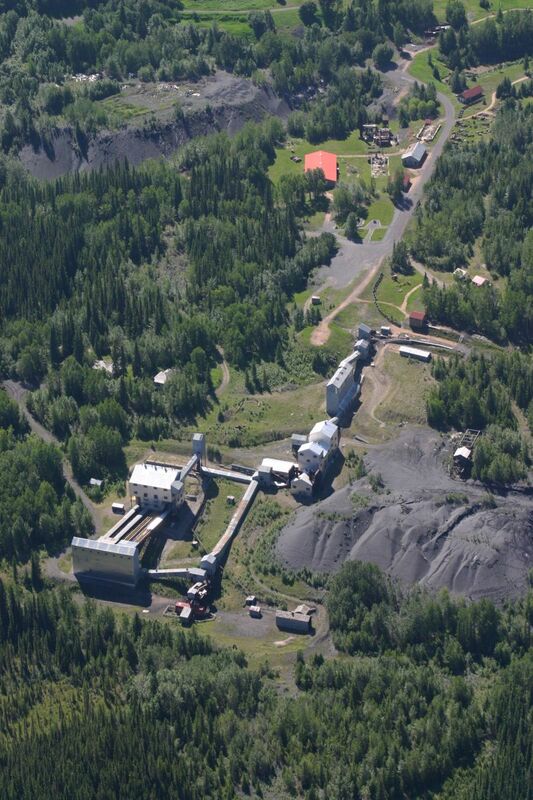 The Brazeau Collieries coal processing plant can be explored on a mine site tour. The last seventeen years have seen the completion of restoration projects often ranging between one to two hundred thousand dollars per project. The funds are raised through the accessing of various provincial grants, financial contributions from the County and the Town, and dollars raised by volunteers through book sales, tours, and various fund raising endeavors. We work closely with the Alberta Historic Resources Foundation and the mine site was designated as a Provincial Historic Site in 1993. The site was later designated a National Historic Site in February of 2002. On February 21, 2002 the Minister of Canadian Heritage, Sheila Copps designated the Nordegg coal mining landscape a National Historic Site of Canada. The Federal government had been looking at a number of sites since 1995, particularly in Alberta and British Columbia, which would best exemplify a number of pre-determined criteria. Among those criteria were those which best reflected their association with events that are of national importance, those which best related to the roles of entrepreneurship, technology, Labour, mining community and the state, and those which were exceptional examples of planning and/or technology connected to the development of coal mining. The Nordegg site was chosen in part as it played a substantial role in the second stage of steam coal development, important in the growth of the coal industry as a whole in Alberta and southeastern British Columbia from the end of the First World War to the mid-1950’s. In addition, the Nordegg site was seen to contain elements relating to mine entries, powerhouse, preparation plant, and rail line, and represents the most complete example of a coal-mining surface plant in the region. The Historic Sites and Monuments Board of Canada had looked at the Nordegg site twice in the past, in 1985 and 1987 but had not recommended designation. A plaque dedication ceremony was held on July 29th, 2005. Visitors are invited on the site only as part of a guided tour due to its remote location and the fact that it was an abandoned industrial site. Visiting the Heritage Museum is by donation. Group, School and Photo tours are also available; for more information please and to book please contact us. A Café and Gift Shop also operate out of the Nordegg Heritage Centre building as well.